Today, contact lenses are available for a wide range of vision problems, including nearsightedness, farsightedness and astigmatism. There are also multifocal lenses to help those with presbyopia (vision problems that occur with age) achieve crisp, clear vision for distance objects as well as for reading. While many teens enjoy the boost of confidence contacts lenses can provide, it’s generally a good idea to make sure the person who’s wearing the lenses if old enough and responsible to take proper care of their lenses to avoid potential problems like infection that can arise from improper wear or poor cleaning habits. 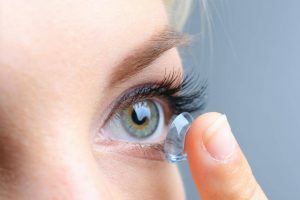 Contact lenses are very safe for healthy eyes. In fact, some studies have shown that certain gas permeable (GP) lenses may actually help prevent the progression of myopia, or nearsightedness. If your eyes are prone to allergic reactions or infections, contact lenses may not be the ideal choice. Likewise, if you work in an environment where airborne pollutants like smoke could cause irritation, you may find lenses uncomfortable, at least during those times. 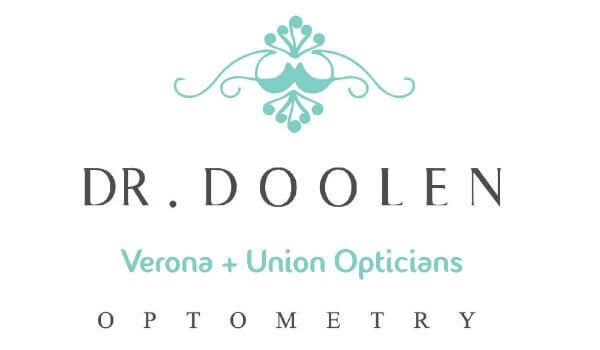 Dr. Doolen can go over all your options and help you decide if they’re right for you. How long will it take me to get used to wearing contact lenses? Depending on the type of lens you choose and your overall sensitivity to lenses, it may take a week or two before you completely adjust to your new lenses. Many people are surprised how quickly they adapt. Even those who feel they may be too squeamish to place the lenses in their eyes or remove them find that after a little practice, wearing lenses is an extremely comfortable and convenient option.